dunk | Cherokee Co N.C.
Saturday, Jan 5, the Panthers headed to Andrews, NC to play a non-region matchup. 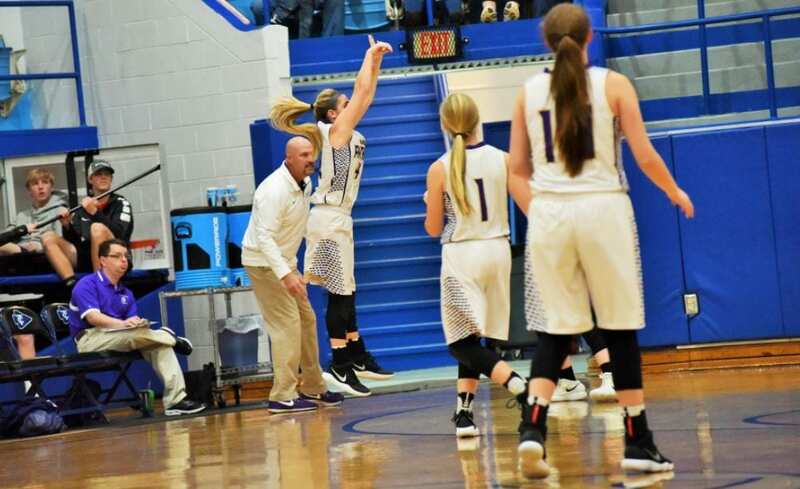 The Lady Panthers tipped off at 5pm, and they got off to a hot start. The Lady Panthers outscored the lady wildcats 13-3 in the first quarter led by senior guard Bailey Daniel. Sophmore forward Andelin Hill led all Union County scorers in the second quarter with five points to extend the lead to 26-16 at the half. The Lady Panthers came out of the half and went on a 12-1 run to extend the 3Q lead to 38-21. Sophomore center Kait Mccarter led all UC scorers with 6 points. The final score was 48-29, and junior forward Jordan Rogers led the 4th quarter in points with 5. Kait Mccarter led the team with 16 points followed by Andelin Hill whom had 11. The Lady Panthers improve to 11-4 which matches last years win total. The Panthers’ game followed the Lady Panthers, tipping off at 6:30pm and unlike the varsity girls’ game, this one got off to a bit of a slow start. Trailing 8-12 at the end of Q1, senior guard Patrick Bagget led all UC scorers going into the half with 10 points. The Panthers led 26-23 going into the half. The Panthers came out of the half on fire, using a 15-1 run to extend the lead to 48-32. Senior Patrick Bagget shot 4-5 from 3 in the 3rd Quarter. Senior forward Candler Colwell led all scorers in the 4th quarter with 5 points. Senior guard Patrick Bagget led UC with 24 points which is a career high. With the win, the panthers improved to 13-2 without sophomore forward Sawyer Drake (his status still uncertain with a Meniscus injury).